A lush green lawn can transform the way your garden and home appears. It can enhance curb appeal and also provide a safe place for kids and pets to have fun. Most people actually find it tedious to have a lawn because it requires regular mowing and maintenance. That is why it is common to see overgrown lawn or lawns with dry and brown patches, which definitely looks unappealing. When you handle the maintenance and care of your lawn, your work is limited to mowing, plucking out weeds and watering your lawn. Sometimes, you may forget one of these or you may overwater your lawn, thereby killing the sod. Your lawn needs more than this. It requires tender loving care and a professional such as Unlimited Landscape Hawaii LLC. A professional landscaping and lawn care contractor will visit your home and manage the care of your lawn. During that visit, not only will your lawn be mowed, it also will be watered, fertilized and tidied. Of course, it goes without saying that feeding the lawn will not be done on every visit. It will be undertaken as and when needed. Although mowing can give some semblance of neatness to your garden and front yard, it cannot achieve the miracle that landscaping can accomplish. 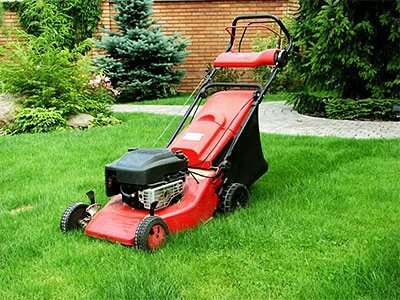 Many lawn mowing services also offer professional hardscaping services that allow you to beautify your lawn and garden without breaking a sweat. Why Hire a Professional to Handle Your Lawn? You may believe the soil in your yard is ideal for planting and growing sod and your climatic conditions are great for a lush and green lawn. However, this is very rare, as in most places the soil is either too sandy or clayey and the weather too extreme. Also, you may not have the right equipment and machinery to handle the mowing and care of your lawn and this could result in the blades being cut too long or short. 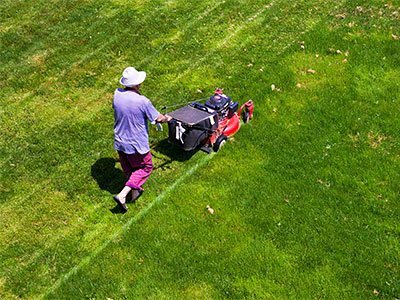 A professional garden service company has the knowledge and expertise to handle lawns in different climatic conditions and ensure the growing conditions are perfect. So, if the soil is not right, the company will ensure the proper soil treatment sets this problem right. With a professional watering, fertilizing and maintaining your lawn on a regular basis, you will be able to see a significant difference in the appearance of your garden. The same services can be extended to commercial setups that should have extremely well-maintain gardens and lawns to create a good impression on clients and customers. When the garden services company handles your lawn mowing and lawn maintenance tasks, you will never have to be embarrassed of a shoddy exterior around your commercial or business setup. If you are looking for a professional and reliable mowing company that can handle various aspects of your lawn maintenance and care, look no further than Unlimited Landscape Hawaii LLC. We are located at 1723 Glen Avenue, Wahiawa, Hawaii, but also service several other areas in Hawaii, including Mililani, Waipahu, Ewa Beach, Pearl City and Honolulu. Call us today at (808) 384-2108 and speak to our professional and courteous staff about your lawn care and mowing needs. You will be amazed at how affordable and good our services are.